The SnapFast BirdStopper is an easy to fit and effective solution for preventing birds accessing the underside of solar panels. 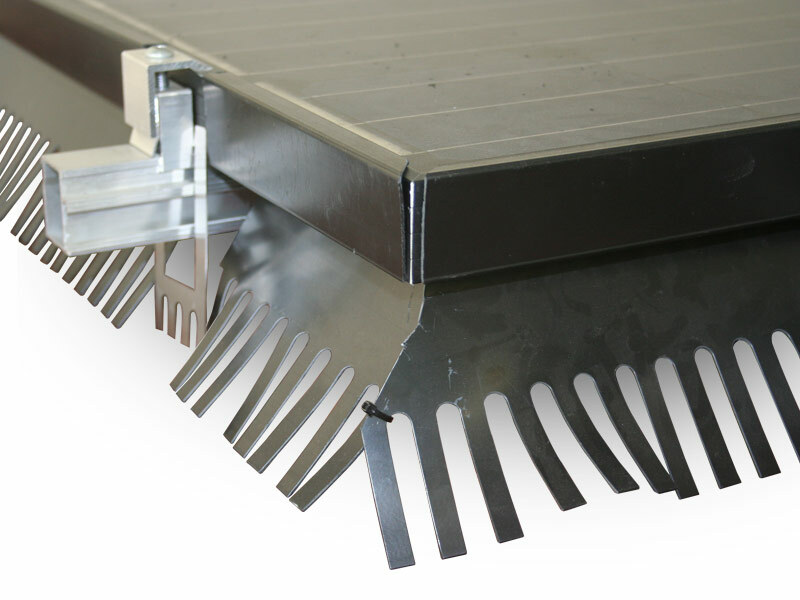 The unique clip on solution allows the pest controler to pre-cut the desired lengths, then simply clip the product into place. This minimizes the amount of time the pest controllers needs to spend working from heights - no more cutting and screwing whilst on the rooftops. Unlike some other solutions, it is also easy to remove and re-attach which allows easy access for maintenance of the panels. Made from a sturdy recycled plastic.